All year, people have been coming to city commission meetings, asking for help with affordable housing. People like Alicia Reece, who told commissioners she’s homeless, even though she has steady employment. "And it’s getting really hard," she said at a city commission meeting this week. "I’m looking every day. I work two jobs. And I have a third job looking for a house for my family." 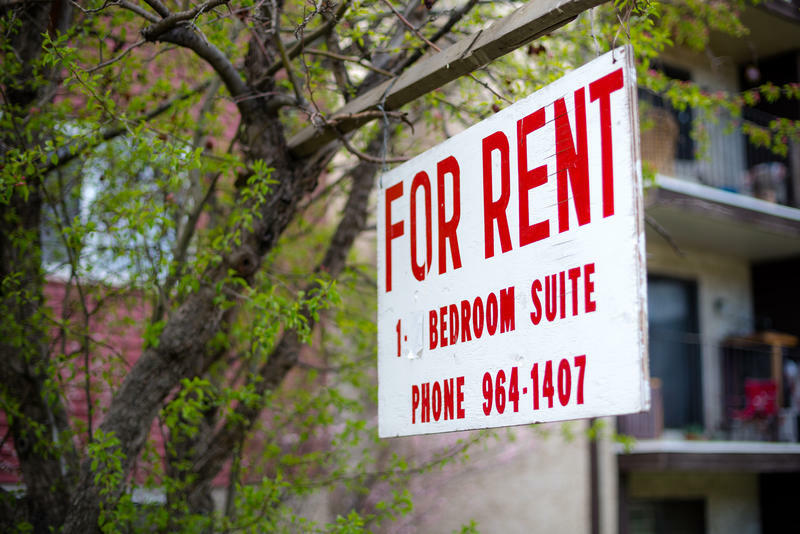 The U.S. Census estimates the rental vacancy rate in the Grand Rapids area was at 3.9% in the first three months of this year. That was the 9th lowest vacancy rate in the country. That low availability is sending prices up. "I drive around looking for ‘For Rent’ signs with my family," Reece told city commissioners. "And I have to tell my kids I don’t work enough. And they never see me. I’m putting in 16 hours, back-to-back." But wages aren’t keeping up with the cost of housing. According to the U.S. Census, median household income in Grand Rapids rose five percent from 2010 to 2015. In that same time, median gross rent in the city went up 33%. People with jobs can still be homeless. Another factor driving up rent prices in the city is a flood of investors coming in from all over the country to buy up homes. 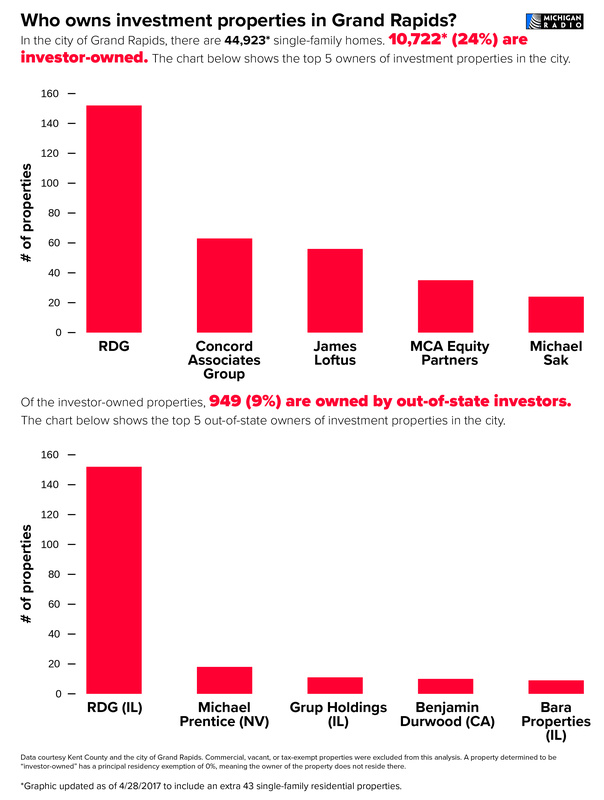 A Michigan Radio analysis shows 24% of the city's supply of single-family homes are owned by investors. And nine percent of those investors are from out of state. Support investments that leverage and maximize the creation of affordable housing for residents with incomes up to 80% of the Area Median Income. The Area Median Income is determined annually by the Federal government. It is an income level that has one-half of residents with higher income and one-half of residents with lower income. But a previous report from the city suggests the proposed level of funding included in the budget for next year and beyond still might not be enough to handle the severe housing issues facing the city. In 2015, city commissioners got back the results of a study looking at housing options. The idea for the Affordable Housing Community Fund came from that study. The only problem: The study recommended putting at least 10 times the amount of money in the fund as what's currently in the budget for 2018.